Add color and style to any ensemble with these fashion bracelets. 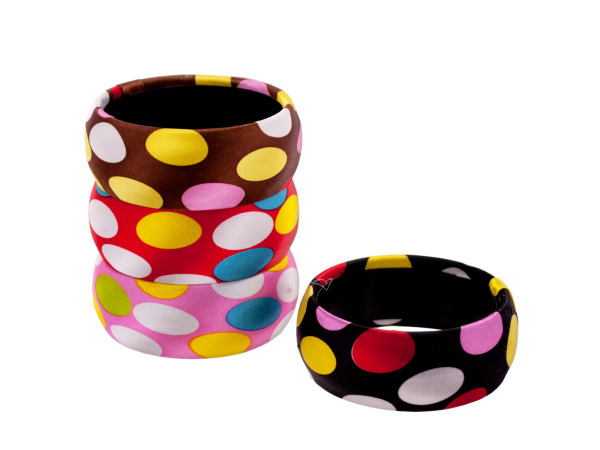 Each bracelet has colorful oval polka dots in an assortment of colors. There is one bracelet per package.